Give your phone a modern look with the Case-Mate Pop! 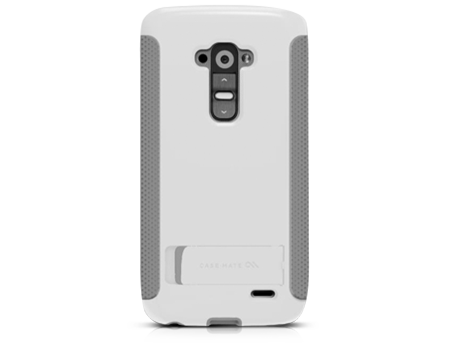 Case with Stand for LG G Flex. This case also provides great protection from scratches and dents. Dual layers of hard plastic and soft rubber combine for a sleek, modern look, while the innovative lay flat design protects the screen. The outer co-molding protects from unforeseeable drops and impacts and inside the soft material hugs the phone like a glove. Rubber sides make for an easy grip, ready to go on a moment’s notice.